Create realistic monsters for VFX with these great tips. 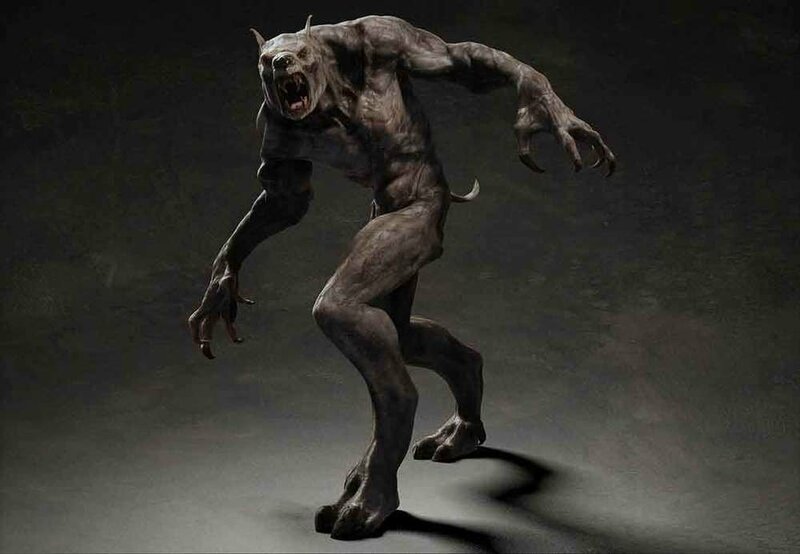 From renegade robots to werewolves, ghosts, aliens, mutants, zombies, and colossal monsters - everybody loves creature VFX. Today, we’re going to show you several VFX tips for integrating monsters into your project. Of course, a 3D modeling program like Maya or 3DSMax would be a great place to start building and customizing your creature. However, you can take the fast track to getting a 3D monster model for your project by purchasing a pre-made model from a 3D asset store like Turbosquid. You’ll find a wide selection of excellent models in a variety of formats that can really add a ton of production value to your film. You can even find sub-surface scattering materials, high-res textures, rigged models, and morph targets for animation - all of which make purchasing a pre-made 3D monster a huge advantage for your film’s visual effects. Most of the time when you see a creature on screen that’s supposed to be large, but it’s fully enclosed within the frame, it can lose that feeling of seeing a massive creature - so that’s excellent advice for VFX filmmakers working with large monsters in 3D, too. It’s also worth pointing out that our fog collections are a perfect addition to your ghost’s visual effects. Not only do we feature atmospheric smoke, but we even have a collection of cold breath VFX - which could be used in tandem with a hovering ghost, or to convey the chill in the air when your actors enter a spooky scene. We recently covered using practical lighting to enhance your VFX, and ghost VFX can really be enhanced by casting practical light on your environment and actors on-set, as they respond to the presence of the ghastly apparition. If your creature is more of a humanoid-type monster, facial tracking can be used to overlay digital make-up within After Effects to create some very interesting monsters. The plus with this approach is the movements of your actors physically translate to the creature’s facial expressions, and you don’t have to worry about animating bodies of 3D models. This type of approach is used frequently on TV shows since it saves a bit of time, and can bring a more grounded feel to your character. If you go this route, you’ll want to focus on getting the look as realistic as possible, because even if you have a good look for your creature, it may not necessarily translate as well to your actor’s face - so ensure the VFX make sense with your actor’s appearance. This also works especially well when morphing your actor into a monster. What’s cool about this technique is you can customize it to look like a large creature (with a camera on a drone or pole), or a flying robot as it hunts its target. Anders Øvergaard uses some really simple but effective visual effects techniques in his short film below, then he shows you exactly how he achieved the VFX for the sea monster. A great tip from this video is that he took actual video of a fish swimming, and used that as a reference for animating his creature. Using real-world videos of animals as inspiration for creature animation can be tremendously helpful in letting you breathe life into your creature, and give it movements that feel natural. There are a million different ways you can tailor these monster VFX methods to your film, but as with all visual effects work, don’t just rely on tutorials. Spend some time polishing your effects as much as possible on your own, and experimenting with what works best for your shot.